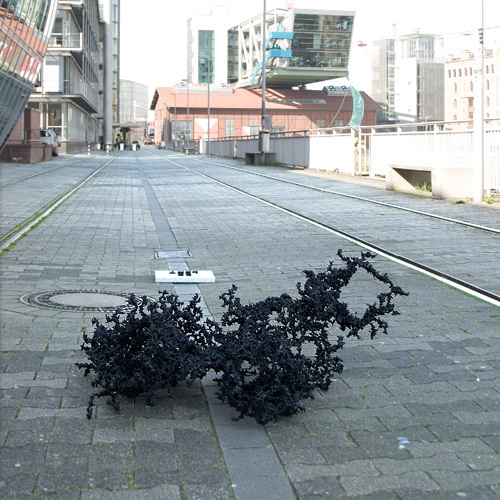 25th April 2009 I have installed in Medienhafen of Düsseldorf object #100, which significant character is to be a traveling, dynamic creature. 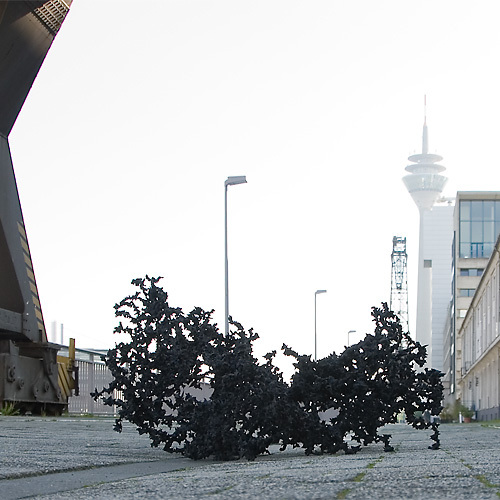 Object #100 will move itself each day some distance and explore the city. 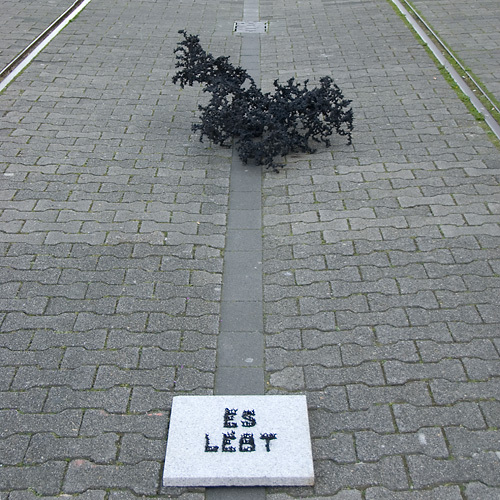 The creature is accompanied by the stone with epigraphy "ES LEBT", which means in german "IT LIVES". Same day the creature suffered from unexpected violence of humans. 26.04: humans tried again to reshape it: creature huddles itself together. 28.04: the piece is gone. where did you go?